Natural gas grills can be significantly more expensive than regular gas grills and since most grill manufacturers produce gas grills that are fueled with easily accessible liquid propane gas, natural gas grills are not the popular choice. However, there are quite a few reasons why you might want to pause and consider shifting to a natural gas option when looking for your dream grill. Most notably, natural gas grills perform just like your other full-sized liquid gas grills, but offer some key environmental advantages if being green is an important concern in addition to long-term cost saving. The big reason why grillers consider natural gas options is the environmental benefits. Natural gas is the best alternative as a source of fuel as it reduces harmful emissions generated by oil and coal, producing up to 65% fewer emissions than liquid propane. Abundant supplies of this resource also ensure a secure and stable energy future while reducing greenhouse gas emissions. Natural gas is the green griller’s favorite choice as a heat source. Natural gas also provides the added convenience of never running out of fuel and never having to deal with the mess of ashes or unwanted odor from other grilling options. Clean-burning natural gas heating equipment also typically means less maintenance and extended grill life. You also save significantly more money with natural gas! I know we are always taking about value when it comes to grills, but natural gas really tops the list. When grilling, natural gas both lasts much longer than liquid propane and costs less. It is also reliable and in abundant supply. Many natural gas appliances will operate during a power outage and there is a secure supply of natural gas especially in Canada and U.S. Not to mention, using natural gas is safe. In a few more years, we see natural gas grilling becoming a major trend, gaining parity with liquid propane grills, especially as this option becomes more popular with consumers and manufacturers respond with more models. The benefits of natural gas is not only applicable to grills because once you have a source of natural gas connected to your house, it will be pretty easy for you to switch and use natural fuel for your other appliances. The long-term benefits of natural gas far offset the initial cost of buying a natural gas grill and because of that, we are comparing the best natural gas grills available in the market for your consideration. Weber has always been a well-known and respected brand when it comes to grills. They have been manufacturing quite a few top-quality and dependable liquid gas grills, which is why it’s no surprise to see that two of their natural gas models have made it into our top picks for the best natural gas grills. You can see our featured natural gas grills below. 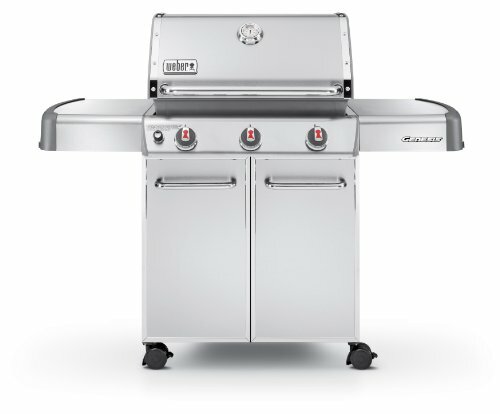 The Weber Summit S-620 is one of the largest gas grill units, with an added roomy side burner and high-quality double-layer stainless steel construction, ideal for maximum-insulation and keeping the grill consistently hot. The S-620 grill can handily cook up large quantities of tasty, restaurant-quality grilled meals, perfect for bigger crowds and even big events in your home. The Weber Summit S-620 has plenty of grilling space at about 693 square inches for it’s main burners and 145 square inches of side burner space. You can really maximize and cook lots of food at the same time. This is perfect for serving large numbers of people during get-togethers or when you’re throwing an outdoor barbeque party. The heat capacity is also ideal for the size and with it’s very sturdy construction, it’s 6 burners heat up high, fast and evenly every time. The materials used for its other components are of 304 grade stainless steel, cast aluminum and steel-frame construction. Even if you use this grill frequently, it won’t show marks easily, due to it’s attractive brushed stainless steel finish. This grill is also convenient to use as it has a built-in thermometer, piezo electronic igniters for fast individual burner ignition and 4 roller wheels for easy transport. The only drawback to the S-620, is that it’s handle light for illuminating the grill is not really necessary and added as more of a gimmick. It can be useful when grilling at night, but most of the time, you won’t be using much. Also, surprisingly, given it’s size and cost, the S-620 doesn’t include a smoker burner and rotisserie system, which is something you can expect to see standard from other comparable models with non-natural gas grills. Although there is a rotisserie kit that you can purchase, you have to buy it separately or you can upgrade and check out the Summit S-650 to get the complete smoker burner with smoker box and a rotisserie burner standard. NOTE: You must have natural gas plumbed out to your patio or deck to be able to use this grill. 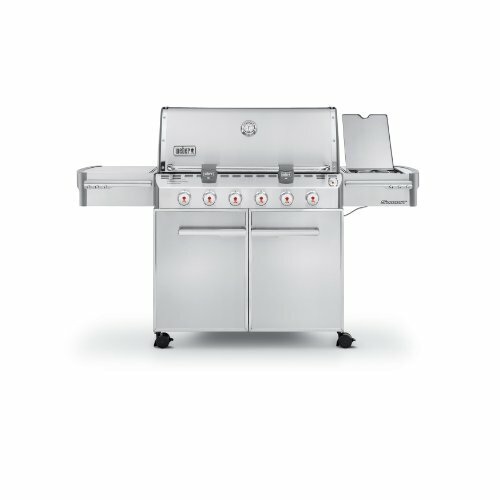 Another great offering from Weber that you should consider for your new natural gas grill is the Weber Genesis E-330. It is smaller in size compared to Genesis S-620, but this unit has a lot of killer features for a more affordable price. The Weber Genesis E-330 has also been featured in our article on the best gas grills under $1000. What’s great with this, aside from the pretty large grilling area that you see, is you get the most value from your grill by saving on gas costs. This model has a primary burner, a side burner and it’s own sear-station burner. And even if it’s not made of stainless steel, you can be assured that this big guy is built with durable quality materials for every component. The heat output is also undeniably strong and high. The Genesis has a listed price of around $1,019, but you can find it at a lower average price of $869 on Amazon. It also got a 4.7 out of 5 user rating. Broil King has an excellent reputation for producing grills with top-level power and capability. In fact, we also featured one of their models in another review article on the Best Gas Grills Under 1,000 Dollars. We think the Sovereign 90 is another noteworthy offering from Broil King for grillers seeking natural gas options. What’s especially great about this grill are it’s seriously cool features and top-notch durable construction materials. It boasts a competitively large cooking surface and just the right amount of heat output for its size. It can heat up high and fast, and is great for searing your steaks and cooking for large number of people. The best part is – it’s also a full-package grill with side-burner and rear rotisserie burner, all-inclusive for around $900. Lifetime warranty on the cast aluminium components, 5-years on the stainless steel components and burner system, excluding Flav-R-Wave and 2-years on all remaining parts and paint. This chart provides you with all the vital information on the best natural gas grills. 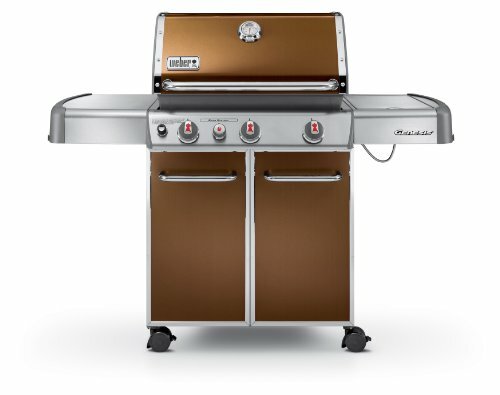 Feel free to select and sort the order of the grills based on their price, rating, BTU power or cooking area. You can also see an overview of what other users have to say about these grills.